We are here for the brokenhearted, the lonely, the sick, the weary, for those who need forgiveness. Here, marriages are restored, relationships are mended, the sick are made well, and strength is renewed. We are here to help people experience Jesus in a life-changing way. At Eagle LifeChurch, you will learn to walk in power to overcome the world, avoid sin, and live joyfully. Through relevant teaching, spirit-filled worship, real friendship, consistent prayer, and compassionate care you will find a community of faith that is growing in grace. There isn’t a better time than now to begin following Jesus! Contact us so we can help you on the journey. Eagle LifeChurch and our LifeGroups are the places that will help you grow in faith as God renews your mind, refreshes your spirit, and empowers your life. We will provide you with the tools necessary to minister to the needs of others, and to share the message of Jesus with your community. Before you visit learn what you can expect during our Worship Service or listen to a recent sermon. The Spirit of the Lord is on me, because he has anointed me to preach good news to the poor. He has sent me to proclaim freedom for the prisoners and recovery of sight for the blind, to release the oppressed, to proclaim the year of the Lord’s favor. 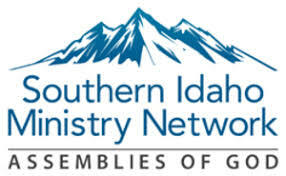 and Southern Idaho Ministry Network.